20th Highlights: Disney Magic on Parade! 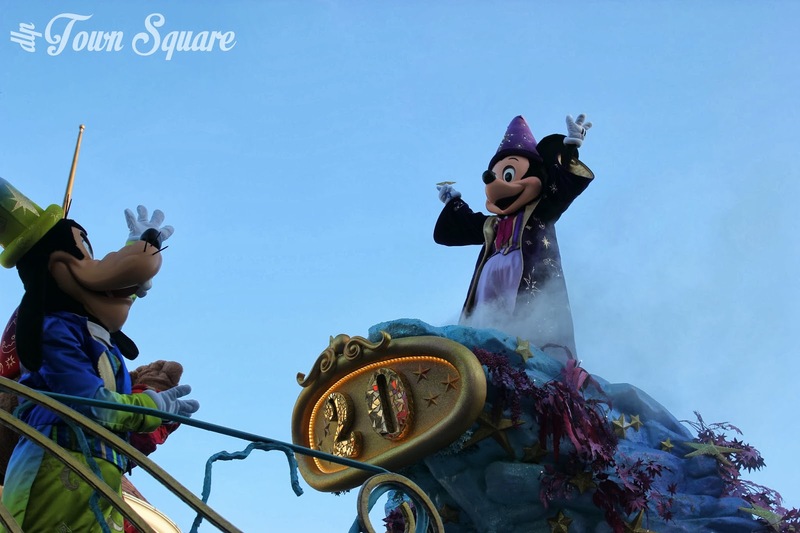 After a run of five years, it was time to stop dreaming of the magic, and to start celebrating it, which is just what the new parade Disneyland Paris presented for the 20th Anniversary was all about. The emphasis certainly was on celebration, from the dancing, the floats and even the music. Disneyland Paris has turned 20 years old, it’s time to celebrate that the only way Disney know how, with your favourite Disney friends! On the face of it, large parts of this parade are imported directly from Disney’s Once Upon A Dream parade which ran from 2007 until 2012, two floats of the new on Parade are ‘new’ (Opening and Final ‘core’ Disney character float), the other floats have had minor touches added to them relating to the 20th Anniversary such as Hamm using Disneyland Paris 20th Anniversary playing cards, small features but fantastic to see. The stars of this parade however are the fairies, watching them glide down the parade route is an absolute joy and creates an air of believability to the idea that they are flying. The new floats offer a perfect bookend of this parade, for a celebration of the twenty years of the resort, there is no better way to open than a part mockup of the turret of the castle. The castle is the icon of the entire resort and seems logical to focus the celebrations onto it. The parade reaches its finale with the redesigned ‘Dreams of Romance’ float, say hello to the ultimate party float, with Mickey and friends in their wizard costumes and Mickey Mouse the centre point of the parade up on a pedestal. The parade nicely rounds off the magic theme with a special surprise on the back of this final float. Tinkerbell waves her magic wand as she waves goodbye to all the guests who had come out to enjoy the parade. The theme song for the 20th Anniversary, and the parade song for Disney Magic on Parade! is called ‘Magic Everywhere’. It is both a song, a statement and synopsis of the park, not just the parade. Disney have proudly bragged about ‘Disney Magic’ for many years, thus the theme of the parade and the year. The catchy song, much like ‘Do you Believe?’ sneaks in yet another Disney reference, namely ‘Neverland’s forever’. The song itself is incredibly catchy and full of joy, it’s rare to not see families smiling and dancing during it. Disney Magic on Parade! 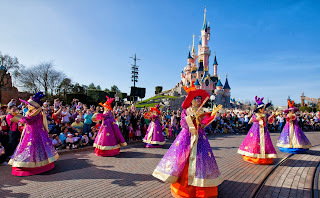 is a perfect celebration of Disneyland Paris and Disney magic in general, the already impressive floats have been given a new lease of life and a top tapping tune bringing us many years of joy and laughter. Parades are a huge part of a day in a Disney park often providing popular, guest pleasing entertainment. 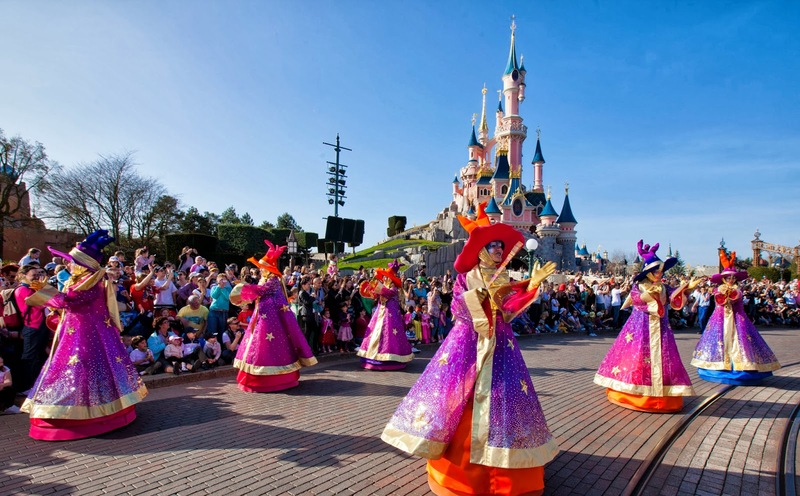 Disneyland Paris’s show department usually pull out all the stops to give us world leading parades such as Disney Magic on Parade! and on this occasion, they have succeeded in bringing us a fantastic daily highlight which continues to grow with the already announced redesign of the princess float. PreviousPrevious post:20th Highlights: Disney’s 20th Anniversary celebration trainNextNext post:20th Highlights: Seasons!